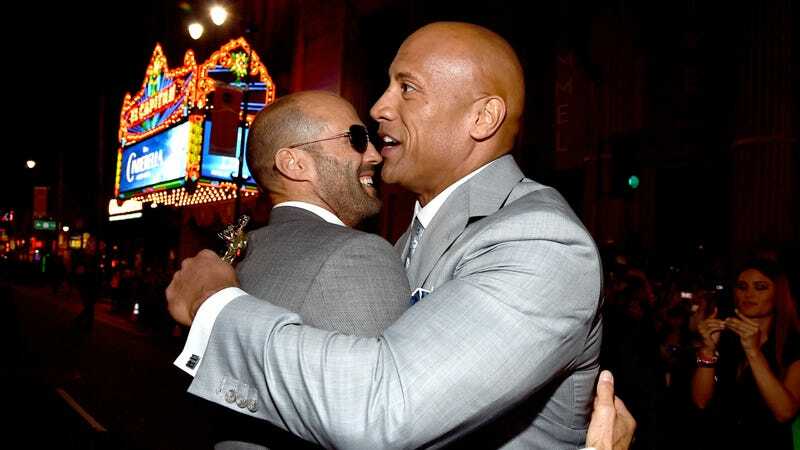 With Tyrese Gibson’s frustrations over Dwayne Johnson taking over the Fast And Furious series effectively dismissed, Universal is now free to move forward with the spin-off movie focusing on the characters played by Johnson and Jason Statham—an idea that sounds awesome to literally everyone but Tyrese Gibson. We haven’t really heard anything about the project since last April, but Variety is now reporting that John Wick and Deadpool 2's David Leitch is the “top choice” to direct the yet-untitled Johnson/Statham punch-a-thon. We still don’t know much of anything about the movie, and Universal might not either, but supposedly Charlize Theron’s Fate Of The Furious villain was considered for the main baddie at one point. That’s no longer the plan, but Universal could just let Johnson and Statham improvise the whole thing and it would still be pretty cool. Plus, it should have a bit more flash than the standard Fast And Furious movies do with Leitch behind the camera, assuming the talks work out and he gets the gig. No matter what happens, Untitled Johnson/Statham Punching Movie: Screw You Tyrese is set to open in theaters on July 26, 2019.